The military has denied the claim by Minister of Information and Culture, Alhaji Lai Mohammed that troops combating Boko Haram insurgents in the North-East were doing so with substandard weapons purchased by the Jonathan administration. This is even as the authorities said hopes of rescuing the Chibok schoolgirls abducted by Boko Haram about two years ago in Borno State have not dimmed. Former President Olusegun Obasanjo said last weekend that anyone still assuring the nation that the girls would be rescued was a liar. Speaking on Africa Independent Television (AIT), Director of Defence Information, Brig.-Gen. Rabe Abubakar, dismissed reports that soldiers fighting Boko Haram were poorly equipped. "What I know is that we are using equipment which is okay for us. We have been achieving results. What I know is that we have equipment that can take us to where we are going…However, you cannot say you have everything you need for your operations. Even the developed nations’ Armed Forces lack one thing or the other,” Abubakar said. Jonathan had insisted that President Muhammadu Buhari was fighting insurgents with the weapons his administration bought. But Mohammed dismissed the claim in a statement, saying the successes recorded by the present government could not be attributed to the substandard weapons allegedly procured by Jonathan. Meanwhile, Gen. Abubakar has also assured that efforts being made to rescue the abducted Chibok schoolgirls would not be in vain. He said: "In the course of our operations, a lot of persons who hitherto we didn’t know, were rescued by the Armed Forces. So, fundamentally, what I’m saying is that inasmuch as our effort is still ongoing by the level of momentum we are putting in now, we are hopeful. 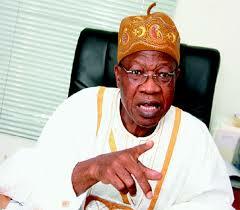 "I believe rescuing the Chibok girls isone of the targets that we set for ourselves. And I believe that with what we have done and what we are set to do, we will rescue any captive with the insurgents, not only the Chibok girls … We are extremely searching for not only the Chibok girls, but any other captive. It is just a matter of time,” he said. Obasanjo, who was the guest speaker at the seventh Osun Interactive Session organised by the Staff Club of Obafemi Awolowo University (OAU), Ile-Ife last Friday, doubted the possibility of rescuing the abducted schoolgirls alive. He said while some of the schoolgirls had been killed for refusing to convert to Islam, others had been trafficked. "Today, if anybody tells you he will bring back the Chibok schoolgirls, it is a lie. Buhari has even said that he does not have any information about the Chibok girls, except those who escaped and some of them have been rehabilitated….Some of them were sold and maybe in 10, 20, 30 years, we will come back and we will hear some of their stories. But if anybody tells you he will bring back the Chibok girls, it is a lie,” Obasanjo said.